Sabrina is one of Today Translations’ Quality Assurance Specialists. She uses her extensive knowledge and experience of translation to ensure all client projects meet their exacting standards. Before joining Today Translations, Sabrina worked as a translator for an online fashion retailer and later for a company in the Life Sciences industry. 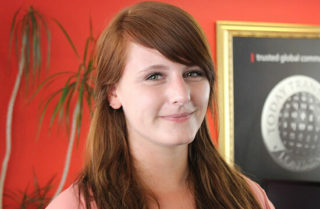 Sabrina’s broad and diverse experience makes her a valuable experience to the Today Translations’ team. Sabrina holds a Master’s degree in Japanese Language and Translation and a Bachelor’s degree in Asian Studies from The University of Bonn.